Activision Blizzard has got to be feeling pretty good about getting Call of Duty: Black Ops 2 onto Nintendo Wii U. Now the publisher doesn’t have to spend $500,000 extra dollars forcing Treyarch to make a jalopy version of Call of Duty for Wii, a task the studio’s been put to sporadically since 2008 when it made the down port of Call of Duty 4: Modern Warfare for the waggle console. Those savings will be a nice little asterisk for Activision come the end of the fiscal year when it boasts to growth-starved investors that Call of Duty is now generating even more revenue without raising development costs. Nintendo’s investors will be happy too. Forget the suits, though. 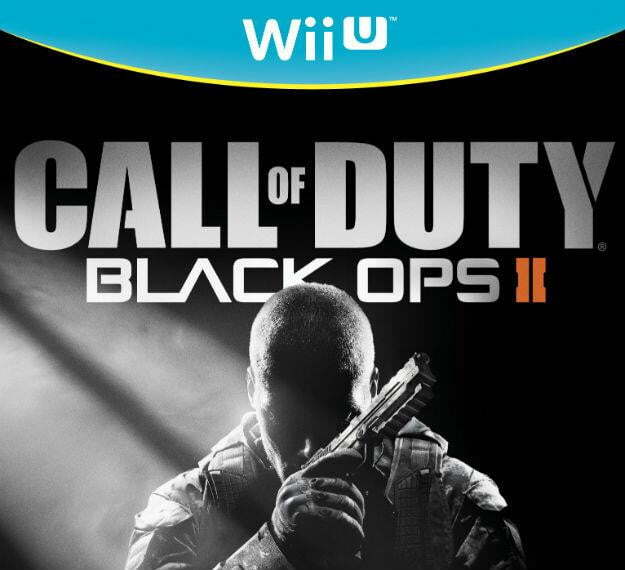 Will actual Call of Duty players care about Black Ops 2 on Wii U? After all, the series’ more than 20 million annual customers already have an Xbox 360, PlayStation 3, or PC to play on. Will Nintendo’s tablet controller really add something to the world’s favorite shooter? Based on my time spent playing the game at Nintendo’s event in New York City on Thursday, I can say without a doubt that the controller does add something, but its value to players is debatable. Call of Duty: Black Ops 2 on Wii U has one major advantage over other platforms: Local multiplayer. 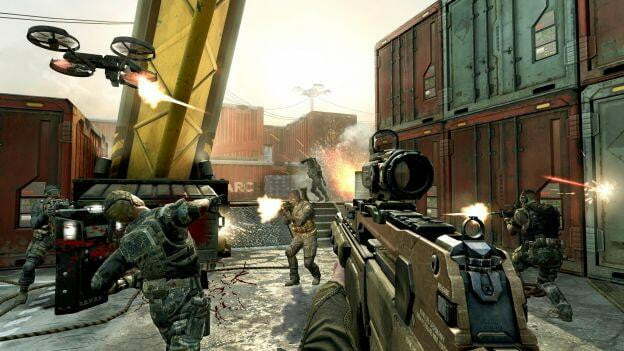 The ability for two people to play Black Ops 2 in the same room on the same console, with one player using the television and the other on the controller’s touch screen, solves the inherent drawbacks of split-screen play. Having played a Call of Duty: Modern Warfare 3’s split-screen—which uncomfortably arranges two widescreen play fields above each other, adjusted to the side—Black Ops 2’s Wii U solution feels smooth. The fidelity on the Wii U screen takes a hit, making the multiplayer stage on a shipping dock demoed at other Call of Duty previews over the summer look more drab than usual, but it works. No one will play this way in serious competition since the Wii U’s double duty rendering the game on both screens makes running at 60 frames per second impossible, but this is casual living room play; it only needs to run well, not perfectly. Which is why the controls are a problem. The Wii U version of Black Ops 2 creates some real cognitive dissonance when switching between the tablet controller and the Pro Controller. The button layouts on each are significantly different on their default settings. Pressing X on the tablet controller for example makes your character crouch, but you have to press in the right analog stick on the Pro Controller for the same action. When people play this game together in the same location they’re going to want to trade off and on with the tablet and the television, just like people were at the demo in New York. Black Ops 2’s current Wii U controls are going to greatly frustrate that process. The Pro Controller itself is a problem. In Nintendo’s effort to make the controller markedly different from the Xbox 360 and PlayStation 3’s controllers—even abandoning the fine design of the Wii’s existing Controller Pro—it’s placed the analog sticks above the controller’s face buttons. As simple a thing as reloading your weapon becomes awkward and cumbersome using this device. In solo mode, the tablet controller offers you the sort of perks you’d expect. Choosing your load out, an interactive map of each stage; Wii U’s tablet controller brings the design sensibilities of DS games into the living room, and that’s no bad thing. Black Ops 2’s competitive multiplayer is too fast paced to make these perks too useful, but for campaign aficionados they’re welcome additions. Nintendo has its very own flagship Call of Duty for the first time and Activision has one more portal for sales. By 2013, when the Xbox 720 and PlayStation 4 hit the market, things will go back to the way they were with Nintendo’s machine playing host to a technologically inferior port. In 2012 though, Nintendo’s got a novel version of the game to sell at launch. If only it were 1996 and split-screen gaming was still the hottest thing around.